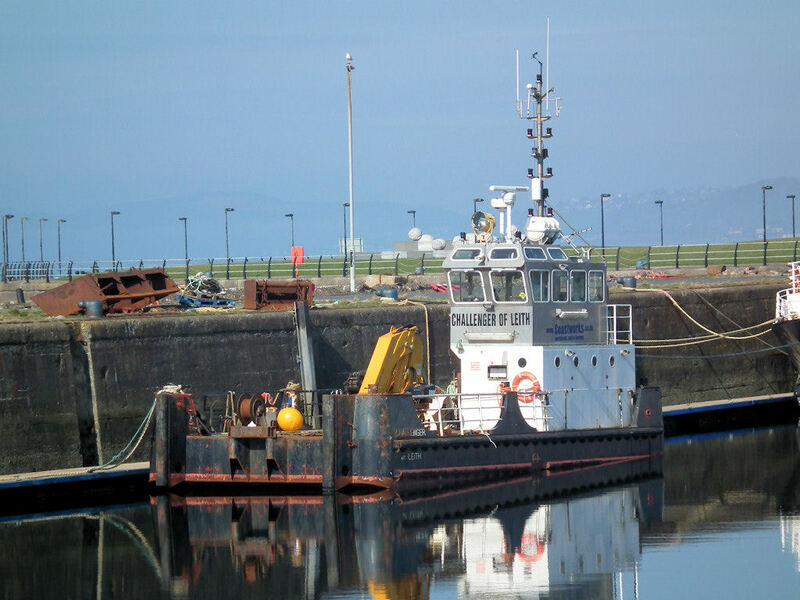 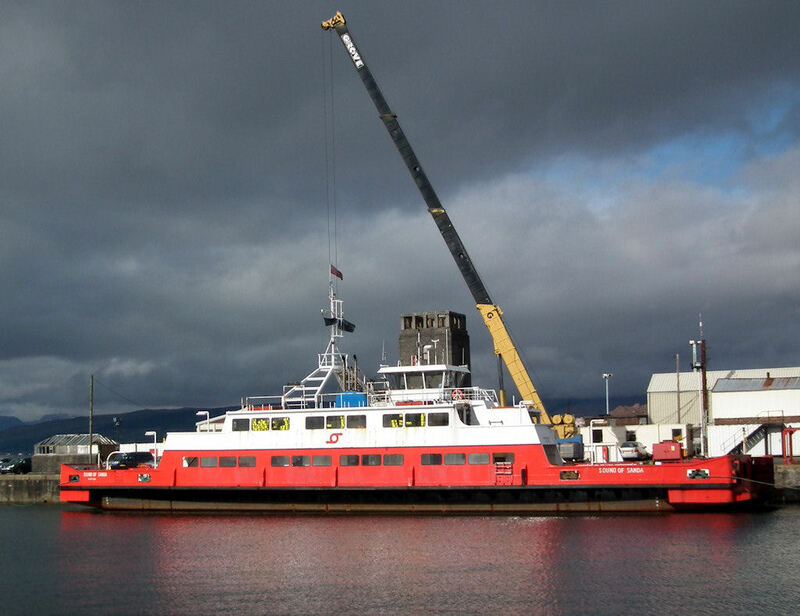 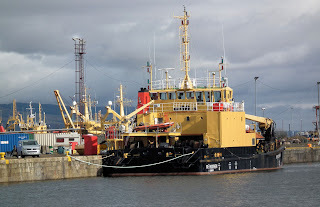 Coastworks' workboat Challenger of Leith in Clyde Marina 24 March 2011. 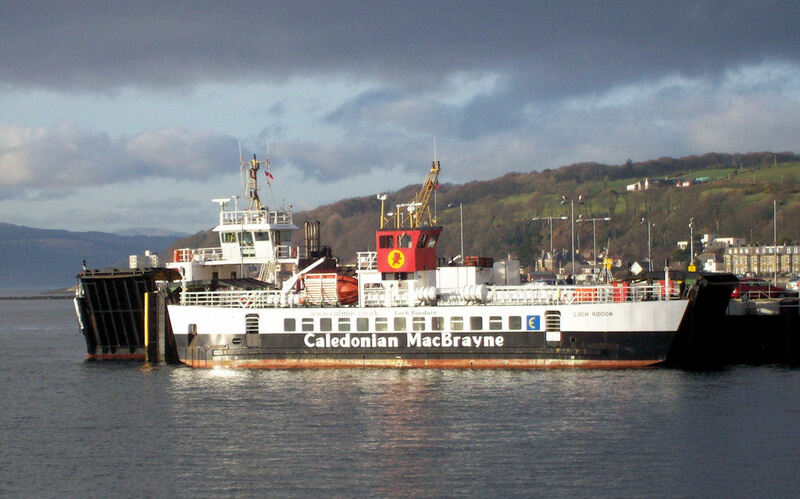 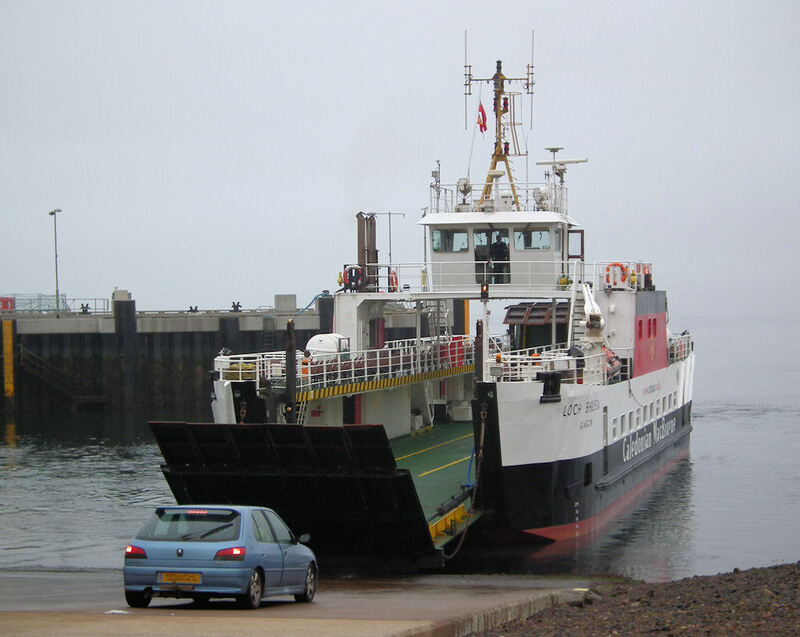 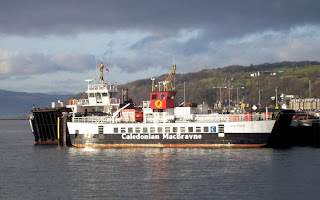 The first sign of summer as Loch Riddon returns to Largs for the season 22 March 2011. Western Ferries' Sound of Sanda in JWD 22 March 2011. Container vessels Ice Runner and X-Press Matterhorn at GOT 22 March 2011. 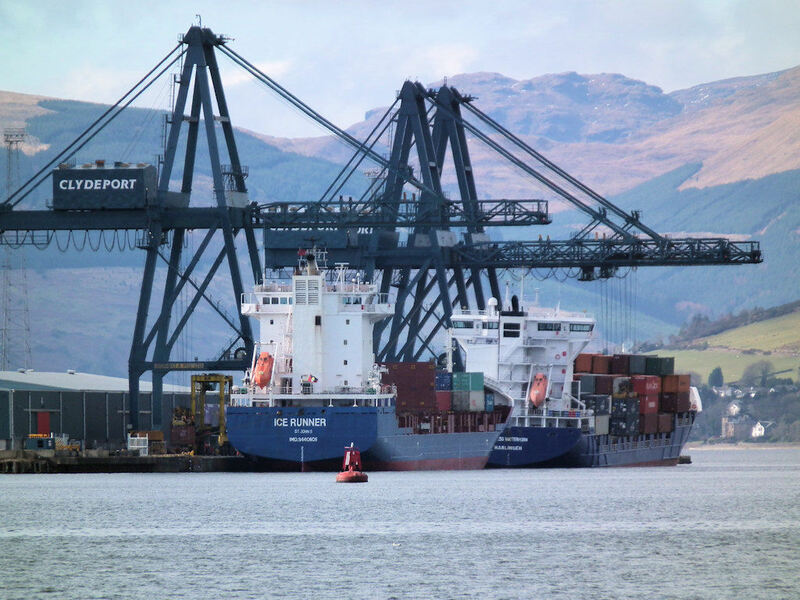 Nice to see a cant on Matterhorn as she is loaded (outbound two hours later)! 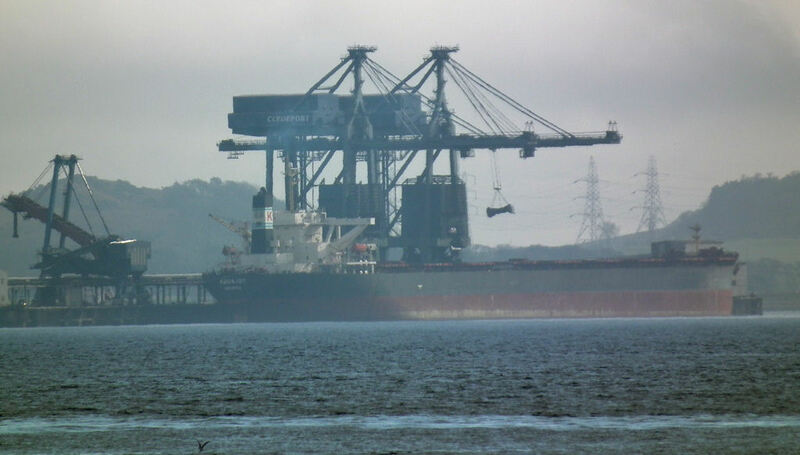 Bulk carrier Aquajoy finishes unloading at Hunterston 22 March 2011, her replacement already waits in Irvine Bay! HMS Bangor (M109) inbound with Seabus passing 22 March 2011. SD Moorhen in JWD 22 March 2011 with the boneyard (two Sal boats, Colonel Templar, SD Tormentor etc.) 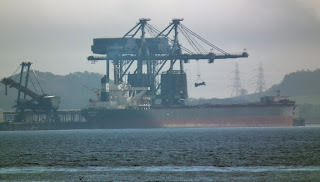 as a backdrop.